We were looking to renovate our flat and found TOPOS on the internet in our search for a designer. We did not have a huge budget but we were glad that they took up our project as most of their projects were quite high end. When everything was completed, we got quite a beautiful, high end looking home done within our budget, so we were really pleased with the end product. They were very detailed in their design and the contractor that they got was very thorough and neat in their workmanship (we were quite worried after hearing many horror stories from relatives and friends). In an nutshell, my family and I highly recommend them. 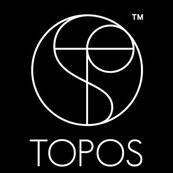 Thank you Alan and his team at TOPOS!